Spice your Life: Kashmiri Dum Aloo – Potato Gravy in Dum | Indian Cooking Challenge for October | How to Dum Step By Step Recipe! Kashmiri Dum Aloo – Potato Gravy in Dum | Indian Cooking Challenge for October | How to Dum Step By Step Recipe! 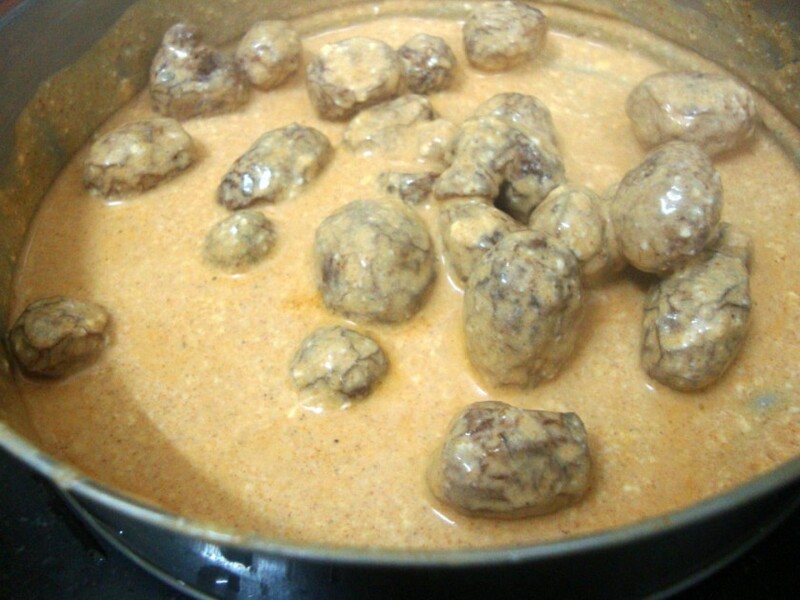 Indian Cooking Challenge this month was Kashmiri Dum Aloo. 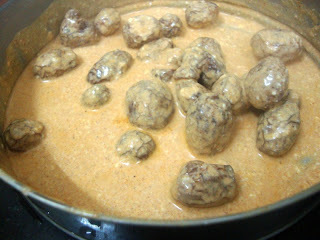 I have been contemplating on so many recipes lately and was very late finalizing on the recipe. Finally I had a discussion with Lataji and we decided we can try some gravy as this season being hectic we can do a gravy and enjoy! We finally decided on Aloo Dum. 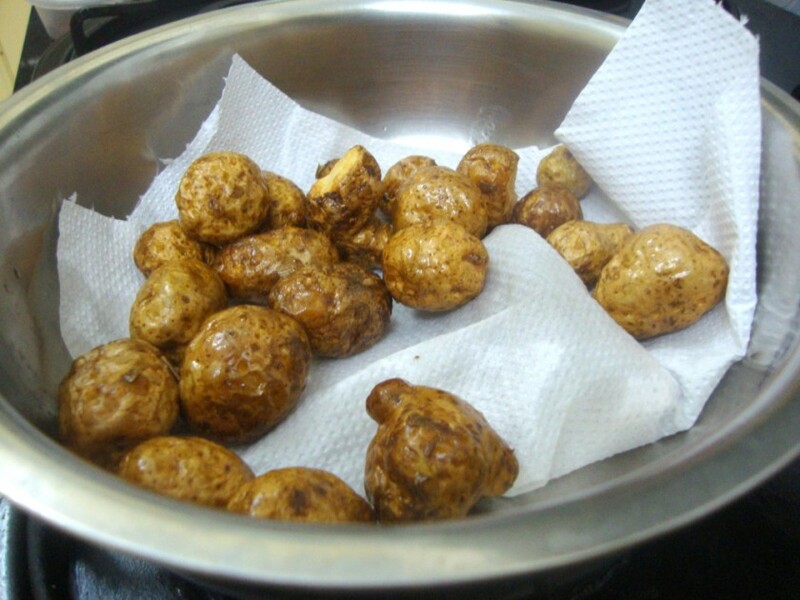 I have a Alu Dum recipe from Sanjeev Kapoor. But Lataji referred to one that also had the Dum method involved. 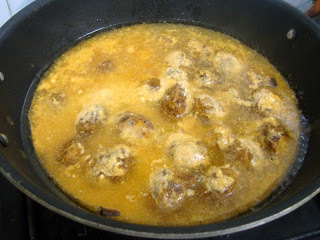 This recipe is from the site IndianFood that Lataji shared. I ended up giving very short period for this dish. But since it happened to be a gravy, we thought everybody would be able to make it. I managed to make it for a dinner on a weekday. Sadly hubby dear didn't prefer it much as it turned out a bit sour for his taste. I liked it. When I took for lunch the next day, it was even better. My colleagues liked it even better. So I decided that this dish surely needs to settle down for a bit. I think that will allow the spices and curds to blend well together. Pierce through the small potatoes using a fork. Soak in water mixed with salt. Drain and heat a pan with oil. Deep fry the potatoes and remove to a kitchen paper. 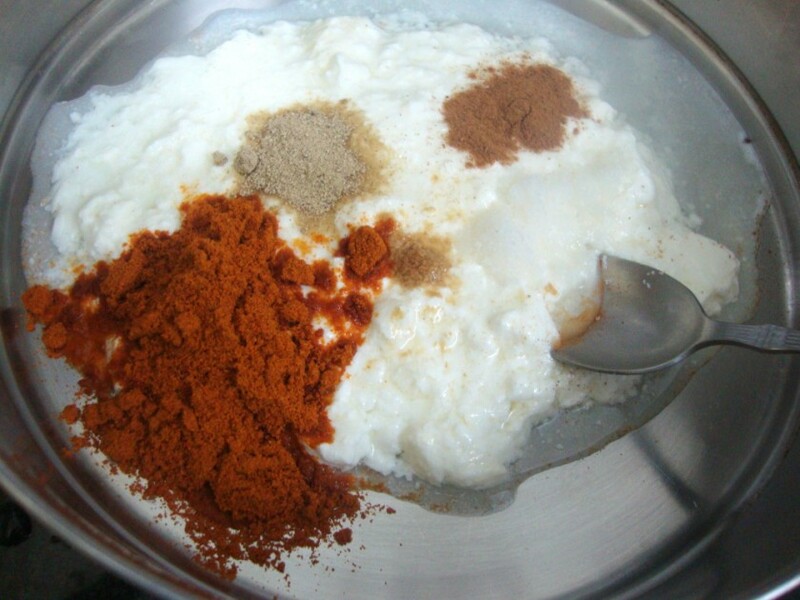 For the marinade, mix the curds/yogurts along with ginger powder, cardamon powder, fennel powder. Mix the fried potatoes to the masala and keep it aside. Heat a pan with oil, add the clove powder, hing. Then add hot water and bring to boil. Add the marinade along with potatoes to the boiling water. Allow it to cook on high for couple of minutes. 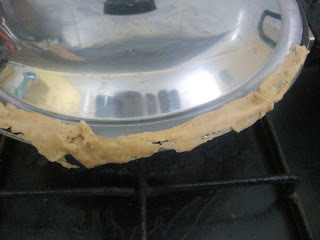 Take the dough and closely cover the lid with the pan. This makes sure the alo gets cooked in Dum. 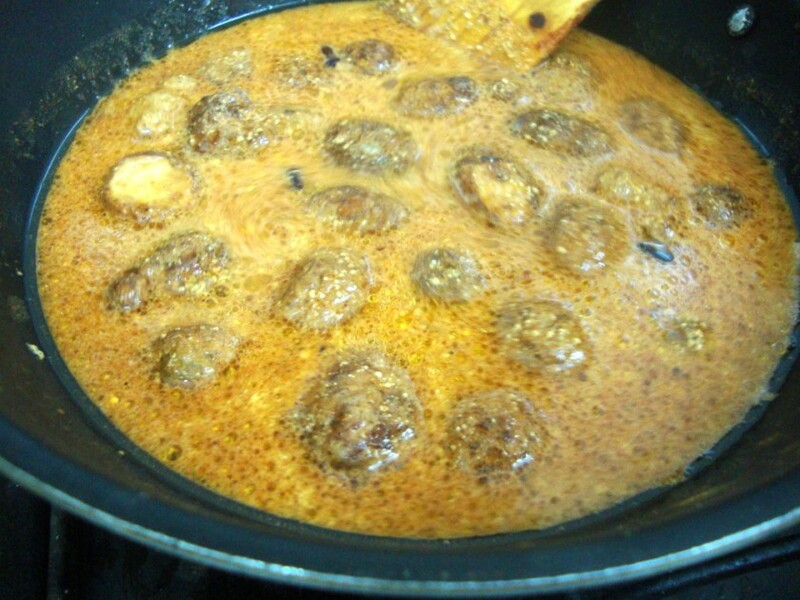 This recipe uses favorite Kashmiri spices like fennel/aniseed and ginger powder. 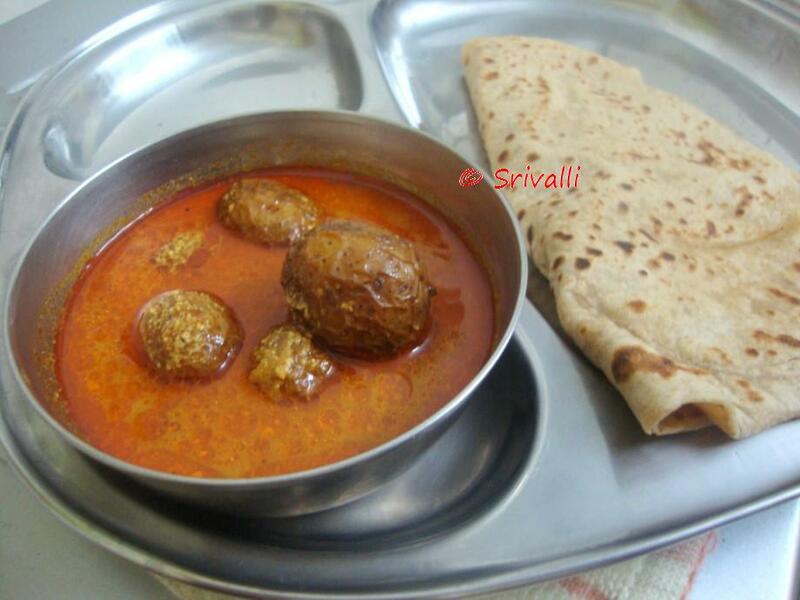 Dum Aaloo is named so because it is cooked under Dum or pressure. 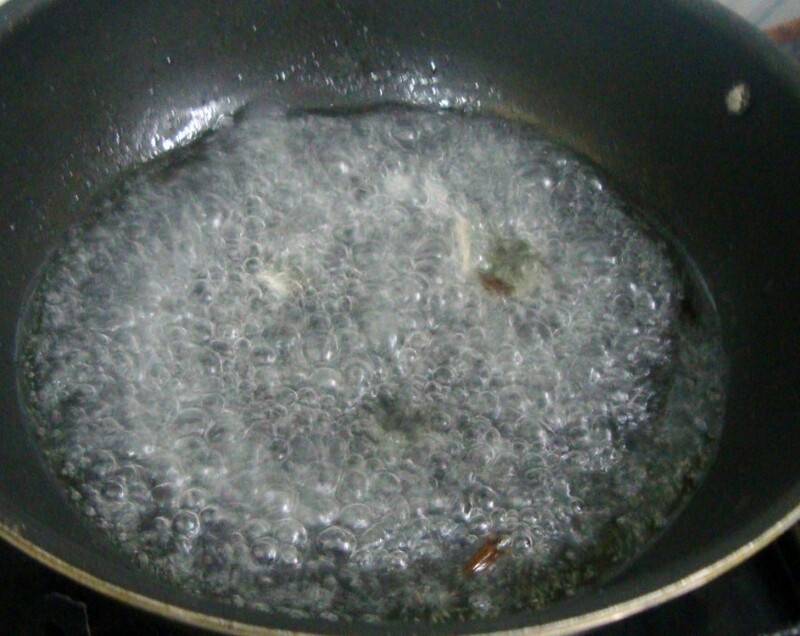 In this cooking method, the food is cooked under pressure in its own juices. Oil for deep frying the potatoes. 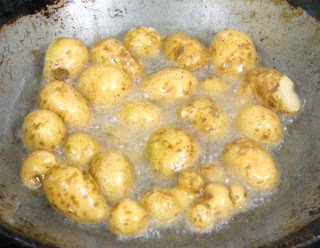 Wash the potatoes well and poke all over with a fork. Then soak in water for 20 minutes. 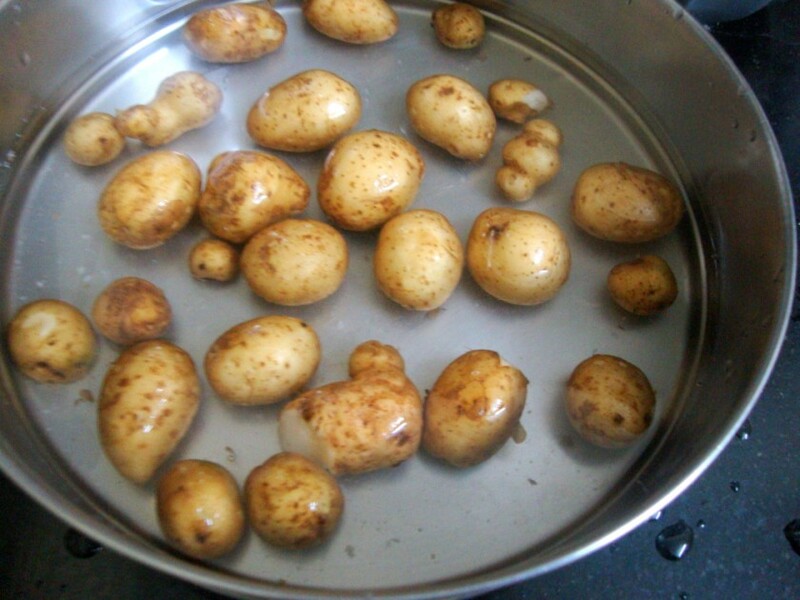 You can mix a tsp of salt to the water you are going soak the potatoes. Make a paste of curds/yogurt, chili powder, ginger, cardamom and fennel powders. 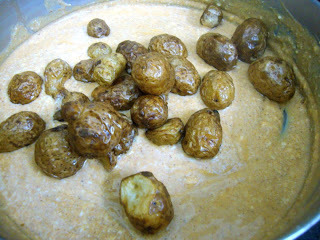 Then add the potatoes well with this paste and keep it aside. Heat the mustard oil in another pan, add the clove powder and asafetida and mix well. Then add a half cup of hot water and salt to taste and bring to a boil. To this mix, add in the potato-yoghurt mix, stir thoroughly and cover. 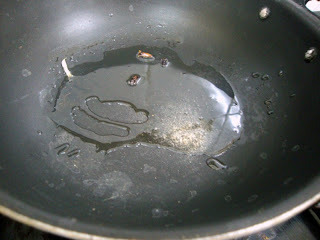 To do the dum, seal the edges of the pan's cover with the dough to ensure no steam can escape. Put on the stove, cook on a low flame for 10-15 minutes. Turn off the flame, remove the cover and add the cumin and garam masala powders, and cover again quickly. Leave for 5 minutes. 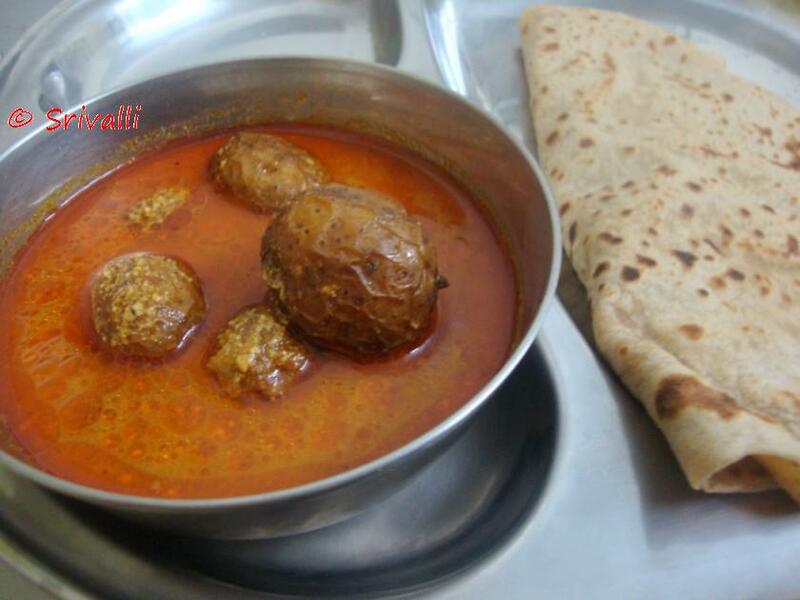 To all my ICC members, please link your Kashmiri Dum Aloo post to Mr. Linky.